Today is International Women’s Day. In this post we look at why it’s an important day to celebrate, we share some statistics about women in UX, and we feature our UX community’s favourite role models. Accepting the challenge, I have an ongoing personal project to create a meta-calendar that proactively and reactively helps me chart the ebbs and flows of my life, helping me pay attention to stuff I’d otherwise forget or consider too difficult. It tracks seasons both literal and abstract, reminds me about things to be thankful or sorry about, helps me stay in touch with useful traditions and long term goals, to celebrate food and friends and family, to mark the passing of time in a conscious way. Pretty basic stuff, but calendars can be a profound way to remain mindful of when and who we are, and what things we value. Today’s date in my calendar, March 8, is designated International Women’s Day. While it should perhaps be Women’s Day once in every two days, on this day in particular we shine a spotlight on the bigger picture. Why is International Women’s Day even a thing? It’s been celebrated for the past 107 years, but has particular significance in light of the United Nations’ Sustainable Development Goals that were agreed and adopted by the global community in September last year. That sounds very grand and lofty, but in reality International Women’s Day is a chance for all of us—you, me, civil society, the private sector, and governments—to actually make some important decisions about things that end up affecting real lives. One of these important goals is achieving gender equality and empowering women and girls. Sure, but that seems to be about global stuff… How is this actually relevant to UX? It’s important for a whole bunch of interrelated reasons; gender equality is not only a fundamental human right, but a necessary foundation for a peaceful, prosperous and sustainable world. 47% of the UX Mastery community are women, which is great when compared to the female population of countries in the Arabian peninsula (as low as 26%), but it still doesn’t quite match the global ratio of roughly 50:50. In the last six years, the ratio of women to men in UX and related fields has equalised by around 7% (based on statistical data and anecdotal observations), but there is a lot more to it than simply aiming for an equal gender split. Jeff Sauro’s Salary Survey in 2014 found that within the professional field of user experience, men can be paid up to USD$10,000 more, on average, than women, and that there is a greater statistical impact when gender is coupled with age and years of experience. “This three-way interaction shows women are paid slightly more than men in the 18-25 age cohort, but have less experience, and consequently lower salaries, as they get into their careers after their late 20’s.” he says. In Australia, the average full-time weekly wage for women workers is 18.2% less than for men, and it’s been stuck between 15-18% for the last two decades. That means Australian women would have to work an extra 66 days per year to earn the same salary as men—for doing the same work. Correspondingly, in 2009-2010, average superannuation payouts for Australian women were only just over half (57%) those of men. A significant part of the problem is related to taking time off work to parent children, can be traced to women not demanding equal pay (and others not giving it to them), and gender bias in workplace language—especially where it affects hiring or promotion of staff. To begin addressing some of these issues, we need to know our positive role models and leading voices. But who are they? Our female UX heroes need to come to mind in conversations as easily and as commonly as the male ones do. It’s not that women haven’t achieved, or there weren’t as many contributing, it’s that they aren’t properly or widely recognised for the stuff they did do. Perhaps the benefit of having role models that you really know, like a sister or a mum, is that you get to know them at a level that helps you see bits of yourself in them. They’re not just inspiring and practical, they’re mentors who may know you better than you know yourself. Grandparents: Jessica Enders, herself a globally recognised expert in form design, looks up to her late grandmother. Nerd friends: Fox Woods is strengthened by her first female nerd friends Michelle and Priya. Workplace leaders: Rebecca Jackson, a self-confessed nerd (and one of our favourite UX sketchers), attributes the seeds of her UX career to her boss. Jessica finds inspiration from Donna Spencer and Maxine Sherrin, two people separately at the heart of Australia’s two best web conferences: UX Australia and Web Directions. New Zealand’s premier web event, the world renowned Webstock, was co-founded by Natasha Lampard, self-described ‘air commodore’ of event registration software developer Lil Regie and ‘squadron leader’ of Extraordinary Tales of Strength and Daring, a series of get-togethers with a focus on living and learning, creativity, inspiration and connection. Donna Spencer, Information Architect, Author and conference organiser of UX Australia. Sara Wachter-Boettcher, content strategy consultant, author and editor. Personal Histories post. Natasha Lampard, co-founder of Webstock, and of Lil Regie. Dean, based in Amsterdam, has been working in UX and accessibility for six years, and wanted to add names to the hat from a male perspective. Susan Weinschenk, ‘the brain lady’ and behavioural scientist. Geri Coady, colour-obsessed designer, illustrator and author. Accessible websites do not have to be boring. Karen McGrane, content strategist, prolific blogger and writer, and founder of Bond Art + Science. Kayla also appreciates that there are so many people on Twitter promoting gender equality in UX. Women who face and defeat adversity, frequently needing to respond to pretty hostile environments, are seen as the most inspiring. Fox Woods is a UX consultant and former co-runner of Girls Club xo. Lady Gaga, singer, songwriter, and actress known for her self-empowering messages. Lena Dunham, creator and star of the HBO series Girls. Ada Lovelace, mathematician and writer (1815-1852), developer of the first computer algorithm. Grace Hopper, computer scientist, US Navy Rear Admiral and inventor of the first compiler for a programming language. Ruth Ginsburg, Justice of the Supreme Court of the United States and advocate for women’s rights. Jane Caro, mentor, social commentator, writer and lecturer with strong interests in education and women in business. Giving time to things that are worthwhile is one of the most useful things we can do in a world where time is a precious commodity. International Women’s Day is a time to reflect on progress made, to call for change and to celebrate acts of courage and determination by ordinary women who have played an extraordinary role in the history of their communities as we aim to give gender inequality a firm expiration date. Your challenge for the week is to take a few minutes to seek out the female voices around you (both prominent and emerging) and to engage with them, pick their brains, give them feedback and be inspired by them. Become the role model you wish you’d had yourself. Watch out for International Men’s Day on November 19. 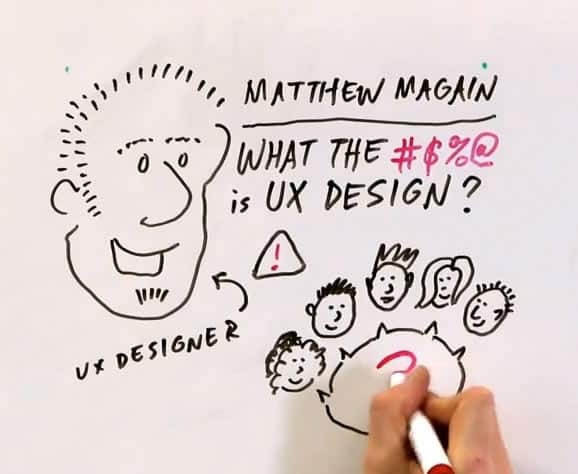 What is UX Design, and Why Should you Care? Thank you for writing this, especially the list of role models. I’ve followed a few on Twitter! Hi Luke, and well done for highlighting some of the greats in our field of work. I wrote an article recently about what I felt to be a gender split in UX. While the stats of around 50-50 you’ve shared are a good reflection of my experience, it’s the distribution of the genders in the roles and specialisms within UX which interest me. Perhaps some of the women you list here buck my trend nicely. Thank you for great article and role models list. Great article and great women, all! Thank you UX Mastery for this celebration.